After being the leader of Harmonia (post Neu ! project), the legendary krautrocker Klaus Dinger formed La! Neu? This mid 90's musical excursion is an obvious reference to Neu! and La Düsseldorf. The group released a few albums for Captain Trip Records. Klaus Dinger's La! Neu? practice a positive, pulsating and improvised kraut electronica. 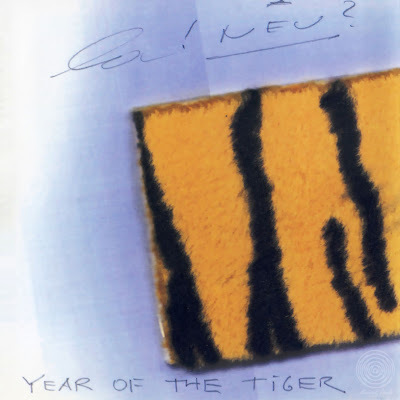 The semi-floating/melodic "Gold Regen" (1998) and the long time unreleased live "Year of the tiger" are among the most important contributions.